Early stoppage or good stoppage, that is the question hovering over Saturday’s UFC on FOX 14 co-main event between middleweights Gegard Mousasi (pictured) and Dan Henderson. 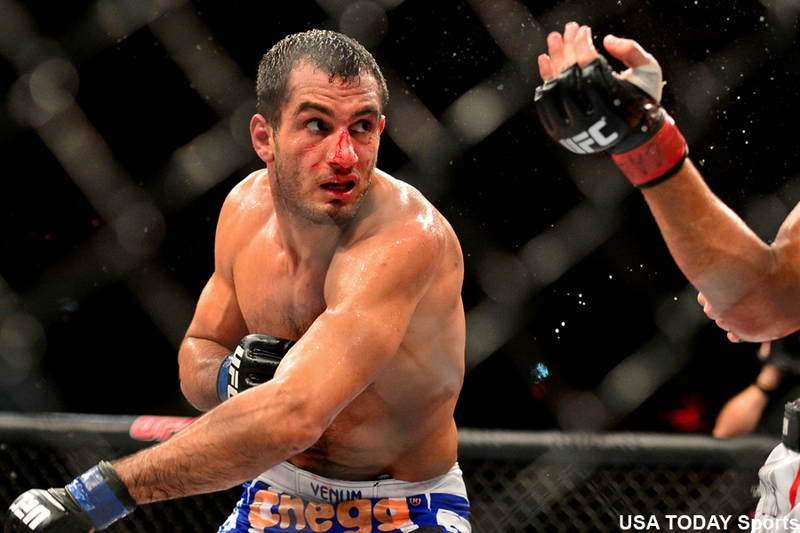 Mousasi floored Henderson with a right hand to the top of the head and pounced. Henderson ate a few punches to the grill before referee Leon Roberts, who was examining the damage from behind the action, pulled Mousasi off of the veteran. Henderson appeared as though he was able to continue and protested the stoppage, but it was too late. UFC on FOX 14 took place inside Tele2 Arena in Stockholm, Sweden.